CANADIAN-based mining company Eda Resource, the developer of the Yandera copper project in Madang, is ready to get things off the ground as it has an efficient capital structure. President and chief executive officer of Marengo Mining, Pieter Britz, made this known at the Mining and Petroleum conference in Port Moresby this week. He said the company continued to investigate other base metal opportunities. Britz said the company had an experienced board and management with good funding supported by “cornerstone investors”. “As part of the evolution of the feasibility work that have been done throughout 2011, 2012 and 2013, we have an investor agreement with the Government,” he said. “We have a strong working relationship with the landowners, the villagers, the tribes on the areas impacted by the Yandera project and we are already underway with our revised scoping studies. Blitz said the Yandera project had the potential to be developed. He said the project was looking forward to making it a reality by working on the feasibility programme that would lead to a decision on the commercialisation of the project. An Australian non-government organisation and the government in the Papua New Guinea region of Bougainville are still at loggerheads over the merits of the region’s new mining laws. 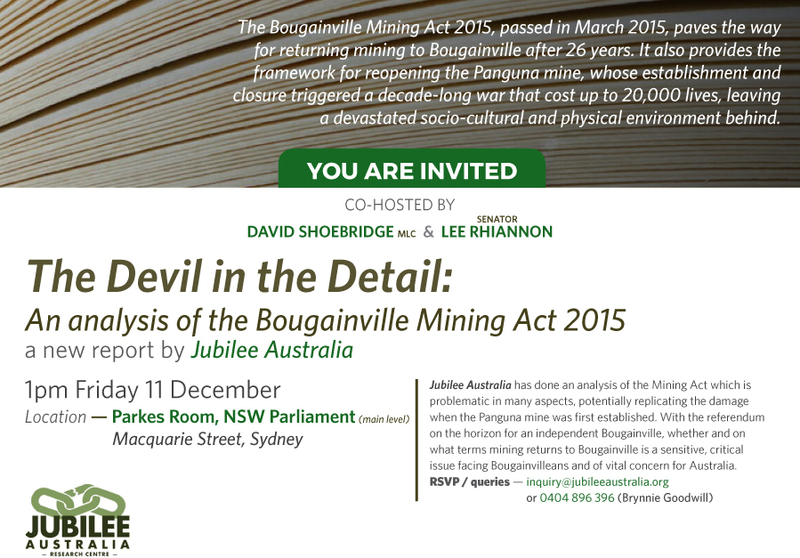 Jubilee Australia was highly critical of the Bougainville Mining Act earlier this year and it has now put forward a series of recommendations for changes that it says need to be made. Jubilee Australia’s chief executive Brynnie Goodwill says landowners have very uneven bargaining power, despite reports they have the power to block the moves. The president of Bougainville, John Momis, says Jubilee Australia’s criticism is untrue and based on faulty research. He says he believes Bougainville’s legislation ensures the landowners are the most protected in the world. 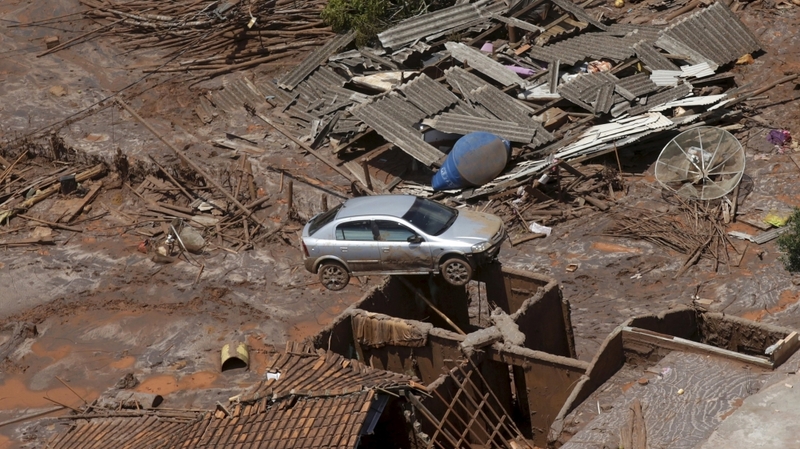 Brazil‘s federal and state governments plan to sue the owners of the Samarco iron ore miner for 20 billion reais ($5.24 billion/£3.5 billion)in damages caused by the burst of a tailings dam, Environment Minister Izabella Teixeira told reporters on Friday. Samarco is a joint venture between the world’s largest mining company, BHP Billiton Ltd, and the biggest iron ore miner, Vale SA. Samarco has already been fined 250 million reais by Brazil’s environmental agency, Ibama, for the disaster, which covered the flood plain in mud for 80 kilometres as well as polluting the river. Fish died and drinking water supplies for a quarter of a million people had to be closed off. 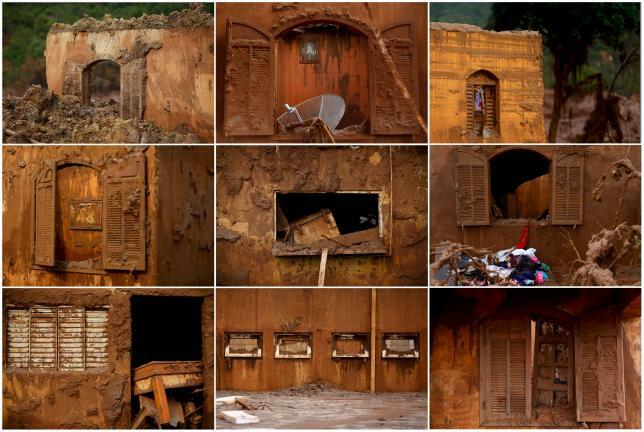 The United Nations’ human rights agency said on Wednesday that the mud from the dam burst was toxic, contradicting claims by Samarco and mine co-owner BHP Billiton that the water and mineral waste posed no risk to human health. 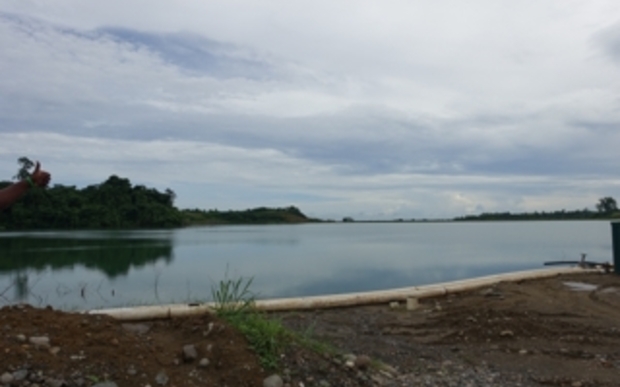 Landowning tribes in Solomon Islands say they will reopen the Gold Ridge gold mine in 2016, two years after flash flooding forced its closure. This comes as the mine’s former Australian owner, St Barbara recently handed over a new water treatment facility to allow the release of treated water from the mine’s overfull tailings dam. The chairperson of Gold Ridge Community Investments Limited, Walton Naezon, says water treatment will begin immediately with the aim of reducing levels in the dam by a metre over the next three months. Mr Naezon says the company is in talks with Australian based Chinese company AXF Group to take on the mine’s operation in 2016. 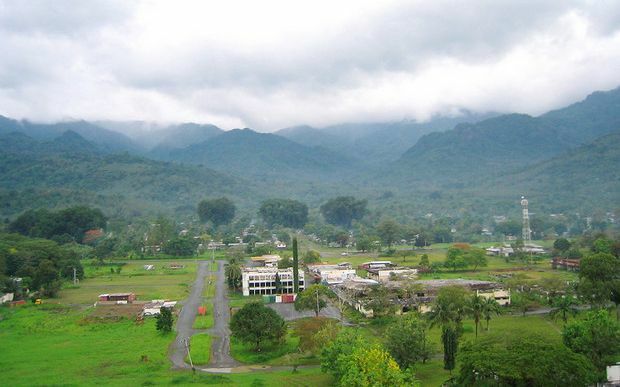 Fiji: Wainunu Resource Owners Committee [WROC] says NO TO MINING. 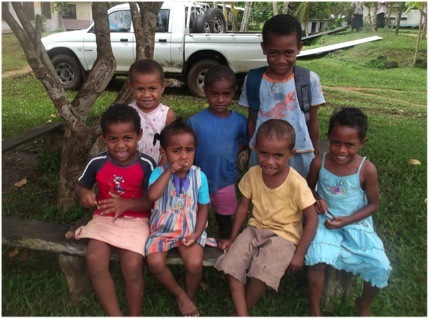 The Future – Children of Daria Village – Wainunu, Bua, Fiji Islands. By Mosese Rabinaivalu – Wainunu. Wainunu District in Bua, Fiji Islands has formed a committee called Wainunu Resource Owner’s Committee [WROC]. The committee comprised of key district Chiefs and heads of landowning unit clans [Turaga ni Yavusa, Turaga ni mataqali] and landowners whose land have deposits of Bauxites and other aggregated minerals and resources. The role of this committee is to act as a body to provide direction, training, education and voice for the people of Wainunu in terms of development, conservation and utilization of their resources. Also and most importantly are the interests of Resources owners and how these resources are managed for survival in both shorter and longer terms keeping in mind the future generations of Wainunu and the neighboring districts in Bua. WROC and various other Resource owners disagreed with the article regarding Bauxite mining in Wainunu on Fiji Times, Wednesday 9th of September this year made by District Chief – Ratu Orisi Baleitavea. Resource Owners in Wainunu were really shocked when they read it in the Fiji Times because there was no consultation with landowners done and there was no landowners meeting [Bose Vanua] was held regarding this issue. In realty and the truth none of the Chinese Company that was mentioned in the Fiji Times has conducted consultation in Wainunu in regards to Prospecting Exploration licenses. At the moment the Committee is conducting consultation and awareness regarding this issue in Wainunu and gathering all relevant information which will assist them to put in place a Natural Resources Management Strategies. Though Wainunu may have the largest Bauxite deposits and of the highest quality, Resource Owners will not be easily moved to give up their land for mining because all deposits are located in the interior and on the ridges and there are many creeks and tributaries that feed the Wainunu River. Wainunu people depend a lot on the land and water resources for survival. We are core yaqona and dalo farmers and if we give up our land for mining it will have an adverse impact on the sustainability of our farming areas, rivers, fishing grounds and source of drinking water. Also fishing grounds of neighboring two districts Kubulau and Nadi will also be affected and landowners do not want to take the risks. Apart from Agricultural Farming Wainunu Resource Owner’s Committee have explored other avenues of sustainable alternative livelihoods and some are already in place. Presently Land Owners said NO to Bauxite Mining and in the future if any statement to be published in any media outlet of company regarding Bauxite mining and other aggregated resources or any development programs in the area, it has to come from the Wainunu Resource Owners Committee – WROC and no one else. We, the Land owners have experienced in the past that Developers and their consultants made false promises. Developers use their resources to make profit and consultants filling their pockets leaving landowners with no benefits. So to avoid all these deficiencies, any development to take place in the area should go through the Board of Wainunu Resource Owners Committee for the benefit of their future generation. As miners globally review the way they store waste in the wake of another horrific dam spill, the solution may be as simple as it is dramatic: spend a lot more. Images of sludge spewing into towns and rivers could be a thing of the past if mines used different types of storage such as removing water or building on more stable ground. While that can be as much as 10 times costlier for companies already squeezed by slumping prices, the cost is much higher when things go wrong. The cleanup bill for the Nov. 5 spill at the Samarco iron-ore venture in Brazil, owned by BHP Billiton Ltd. and Vale SA, probably will exceed $1 billion, on top of years of lost output, Deutsche Bank AG said. “A failure is a lot more expensive than doing it right,” said Dirk van Zyl, professor of mining engineering at the University of British Columbia and one of three experts on a panel into a dam spill in Canada last year. The Samarco breach, which propelled about 13 billion gallons of mud into communities below, comes a year after Imperial Metals Corp.’s Mount Polley mine in Canada also dumped billions of gallons into lakes and rivers. A common trait in the two cases was the fluidity of the waste. Samarco says its dams were deemed safe in a July inspection and that it’s too early to determine reasons for the spill. On Monday, BHP Chief Executive Officer Andrew Mackenzie said the company is “carrying out a thorough review of all of our dam facilities of scale.” On the same day, Vale said it’s open to improvements, even after concluding that its other installations, which use state-of-the-art safety practices, were fully compliant. Tailings are the ground rock and effluents left over after milling. And when it comes to storage, the dryer the better, van Zyl said in a telephone interview. Dry-stack tailings facilities, used in Chile where earthquakes are common, can cost 10 times more than so-called upstream ponds, in which discharged tailings become the foundation for future embankment raises, van Zyl said. The next best option, building storage on virgin ground and limiting the amount of water, could cost twice as much, he said. Still, those higher investment and operating costs pale next to the expenses associated with a catastrophic accident. “When you allow economics to be the primary driver we’re going to see more safety-related incidents, and that’s what’s happening,” said David Chambers, president of the Center for Science in Public Participation, a non-profit group based in Bozeman, Montana. When asked if any of the dams used upstream construction, Samarco’s owners referred questions to Samarco, which didn’t provide a response. Alberto Sayao, a civil engineering professor at the Catholic University in Rio de Janeiro and a board member of non-governmental organization Brazilian Dam Committee, said the dam that burst, Fundao, was an “upstream heightening” design. At Mount Polley, the upper portion of the dam was upstream, although the spill was attributed mainly to a layer of clay under one section, Chambers said. Imperial’s press department in Vancouver didn’t respond to requests for comment. Regulators need to ban upstream construction and “wet closures” of old tailings ponds, in which the water is allowed to remain, Chambers said. Asked whether the incident in Brazil shows miners need a new way to store tailings, the emergency response coordinator of environment agency Ibama said “it needs to be evaluated,” without elaborating. The mandate of a panel into the Mount Polley case was to ensure that future large-scale tailings disasters would be impossible in Canada, rather than just to lower the probability, according to Norbert Morgenstern, the panel’s chairman. How tailings should be stored will vary from location to location, Ben Chalmers, the Mining Association of Canada’s vice president of sustainable development, said in an interview. Certain sulfide-heavy tailings may be safer under some amount of water, while dry storage may not be feasible in wet climates or at very high-output mines, he said. While dry-stack storage is expensive while a mine is operational, it is much cheaper when it comes time to close, said Chuck Jeannes, CEO of Goldcorp Inc., which uses dry-stack storage at mines in Canada, Mexico and Guatemala and has a dedicated manager in charge of tailings.